Soon your son will be traveling to Coruscant, home of the Jedi temple. 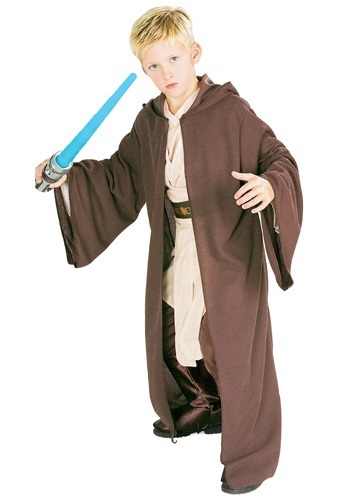 This is where he will learn to harness his Jedi power. Hopefully he will not fall prey to the dark side. He seems strong, so we don't think you have much to fear of that. You wonder what color his light saber will be. You worry, but he will be learning from the best Jedis in the galaxy.